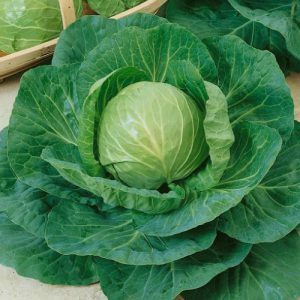 The All Seasons Cabbage is a very heat resistant cabbage that is resistant to yellowing and will offer a nice flavor in any dish. 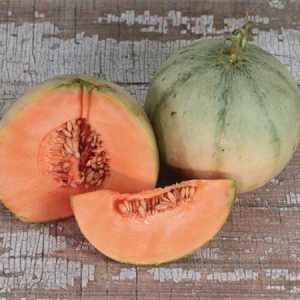 The Ambrosia Hybrid Melon is popular for home gardens due to it's luscious salmon-red flesh and extra-sweet flavor that simply melts in the mouth! 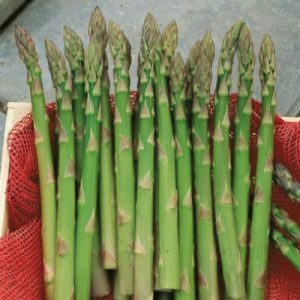 The Apollo asparagus produces an abundance of attractive dark green medium to large diameter spears with slight purple at tip. 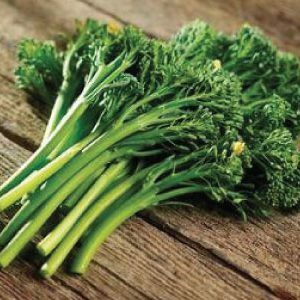 The Aspabroc baby gets its name from having asparagus stems and raab heads, making it a deliciously sweet broccolini with a peppery taste. 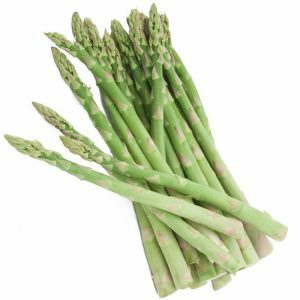 The atlas F1 is a disease tolerant, medium to large, green and slightly purple asparagus that is an early, vigorous and excellent yielder. 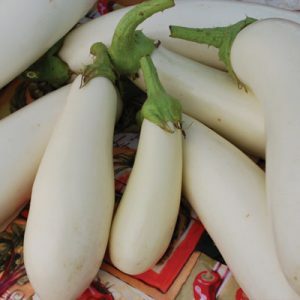 The Banana Melon gets its name for being a banana-shaped fruit with smooth yellow skin and even a mouth-watering banana smell! 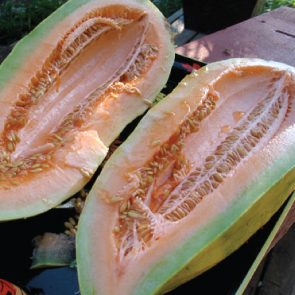 The Bidwell Casaba Melon is a large 12-16 lbs., uniquely shaped melon that has a mildly sweet and delicious orange flesh. 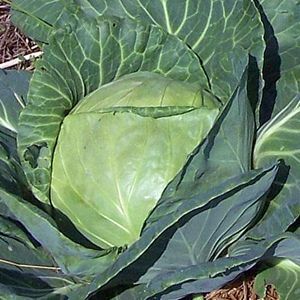 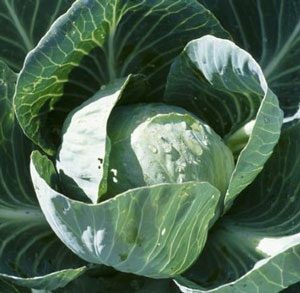 The Brunswick is a large cabbage that can be grown spring, summer and fall that is used for making sauerkraut, making it excellent for home or market use! 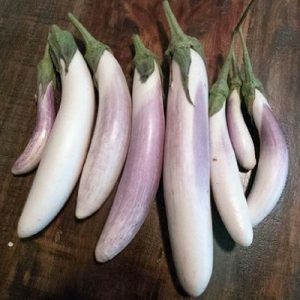 The ghostly white Casper eggplant has a succulent mushroom-like flavor that is delicious added into soups, stews and roasts. 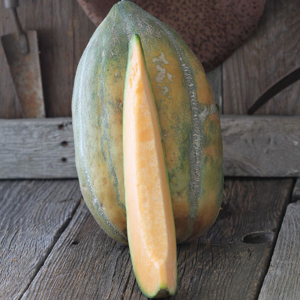 The Charentais Melon is a well known 2-3 lbs. 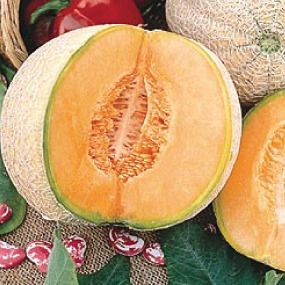 heirloom melon that has light grey-green skin with a vibrant orange flesh and a superb flavor! 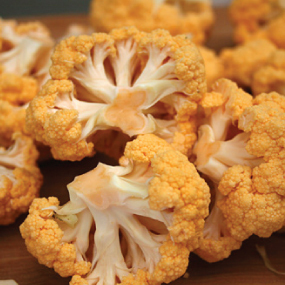 The Cheddar cauliflower lives up to its name with its awesome cheddar colored orange curds, high in beta-carotene, and great flavor! 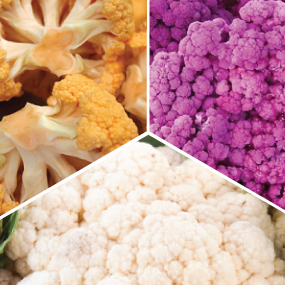 The Colorful Mix is a fun blend of different colorful cauliflower varieties such as Cheddar, Graffiti and Snowball, perfect for farmers markets! 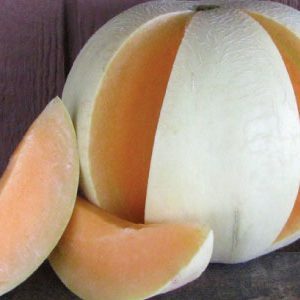 Crenshaw Melon is a pear-shaped cantaloupe with a green-yellow, salmon pink flesh that is a family favorite that grows best in warm, dry climates. 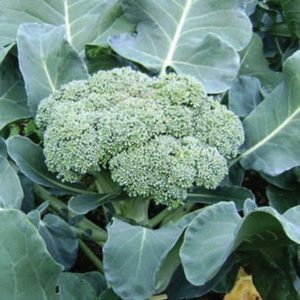 Round blue green, 5-7 lb. 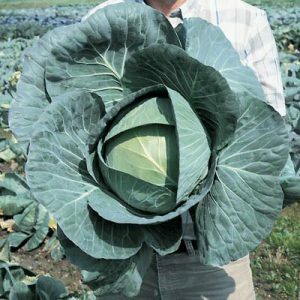 heads, standard storage type, does well in Northeast area. 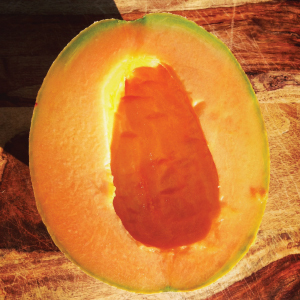 The juicy, perfectly sweet flesh of the Delicious 51 Melon is dark orange with creamy texture and a strong sugary flavor! 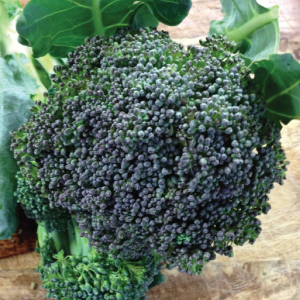 The Early Purple Sprouting broccoli is an heirloom variety that produces lots of beautiful purple broccoli sprouts in the spring. 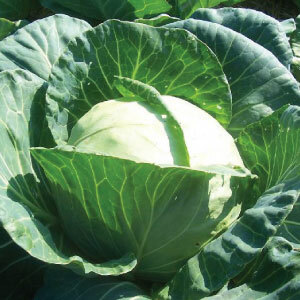 Known for its solid head and excellent flavor. 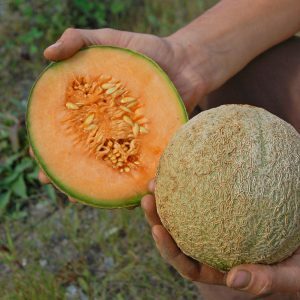 The Edisto 47 Melon is a popular disease resistant, salmon-fleshed melon that is mildly sweet and produces strong yields. 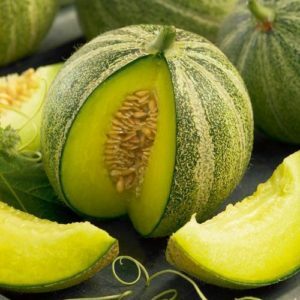 The early, green skinned Emerald Green Gem Melon has a sweet yellow-orange flesh that has a sweet and somewhat spicy flavor! 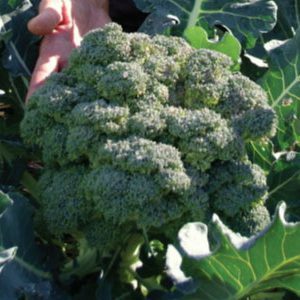 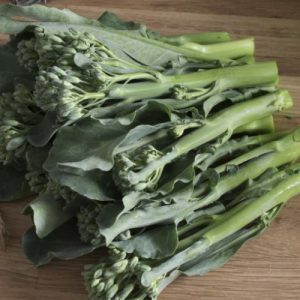 The Fiesta broccoli is a very beautiful blue-green, heavy yielding medium broccoli type that is disease resistant, definitely a reason to celebrate! 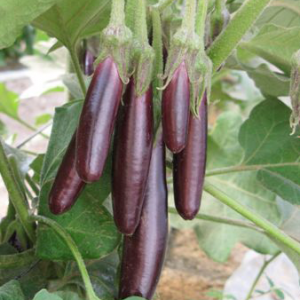 The prolific Florida Market High Bush eggplant is a standard market variety that was bred in Florida in the early 1900s for the commercial use. 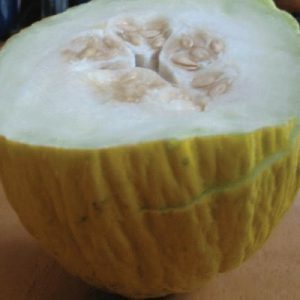 The Golden Beauty Casaba is an heirloom melon, also known as the "Casaba Fruit," has a creamy white flesh and a rind that matures gold. 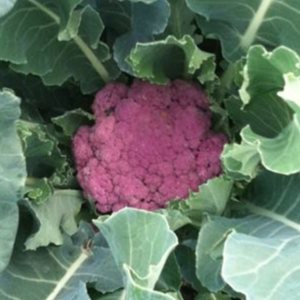 The Graffiti cauliflower has a fun deep purple head with dark green leaves and a great flavor, making it very fun to watch grow and eat! 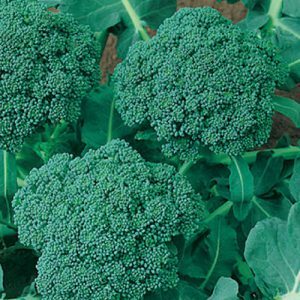 Green Emperor broccoli is a new F1, Early Green Duke type broccoli with extra vigor, heavy yield, heat resistance and a nice dome shape. 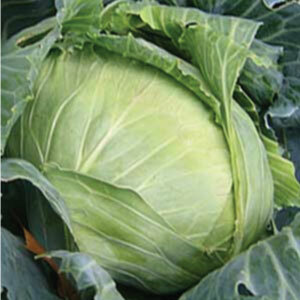 New 50 day maturing bright green mini cabbage. 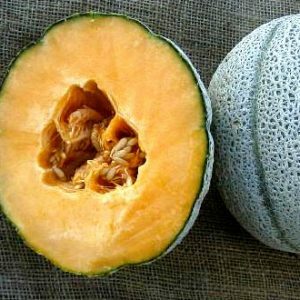 The Hales Best Jumbo Melon is a cantaloupe that became widely popular because it combined excellent flavor with earliness. 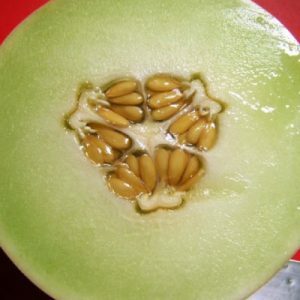 The smaller sized Haogen Melon has thick medium green flesh and a refreshing honey flavor that makes it perfect for home gardens and markets. 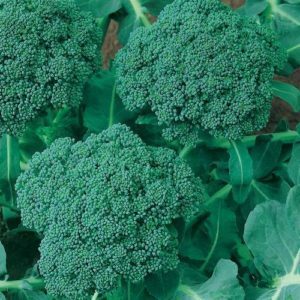 Happy Rich Baby is an excellent summer producing baby broccoli that produces uniform, vigorous, dark-green florets that look like baby broccoli heads. 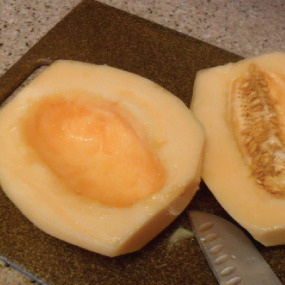 The Hearts of Gold Melon actually has a heart of deep-orange, "golden" flesh that is thick and sweet, a popular commercial cantaloupe in the Midwest! 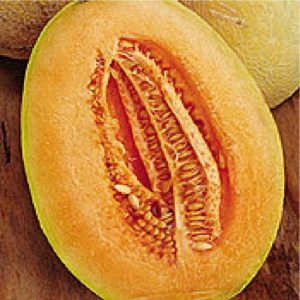 The large Honey Dew Stutz Supreme Melon has smooth tan skin with a delicious orange flesh and a fresh taste that can't be beat! 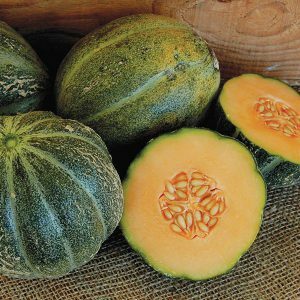 Honey Rock Melon's flesh is a tender salmon-orange hue with a delicate sweet taste, no wonder it was an AAS winner for 1933! 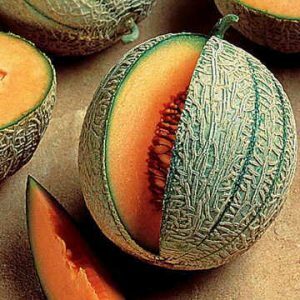 The Honeydew Green Flesh Melon is specially adapted to grow in hot, long-summer climates, no matter how hot your summers get! 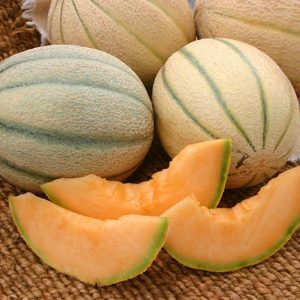 The Honeydew Orange Flesh Melon is a delicious muskmelon with a creamy light green, smooth skin and a pale yellow with orange hues juicy flesh! 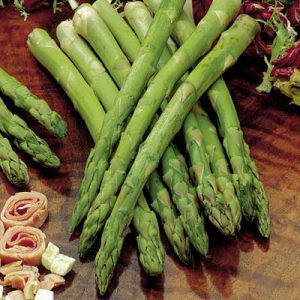 Jersey Giant asparagus is a very high yielding giant asparagus that produces an abundance of flavorful and succulent spears! 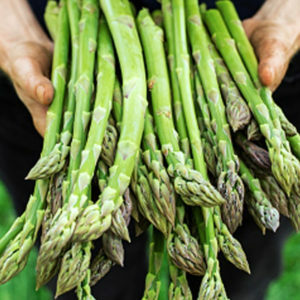 The Jersey Knight asparagus yields 3-4 times more than any other variety! 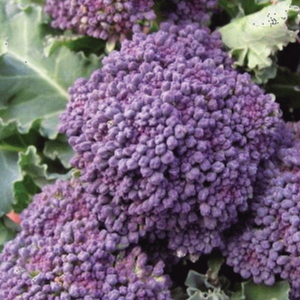 These predominantly male plants are disease resistant and vigorous growers. 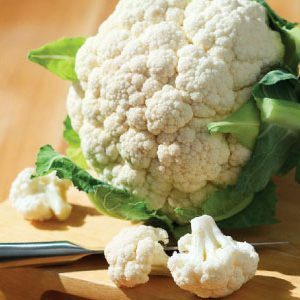 Solid head and excellent flavor. 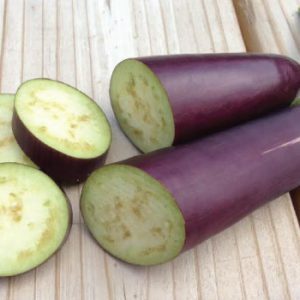 The Little Finger eggplants are slender, petite dark purple eggplants with a silky flesh that are excellent for grilling and cooking! 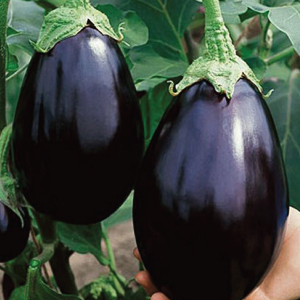 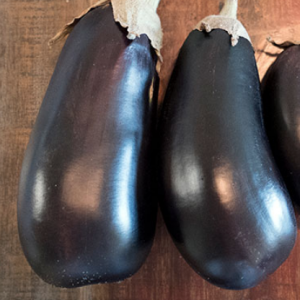 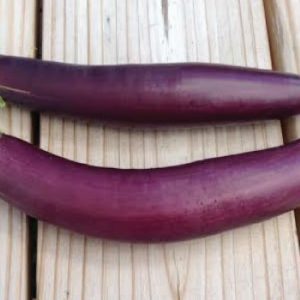 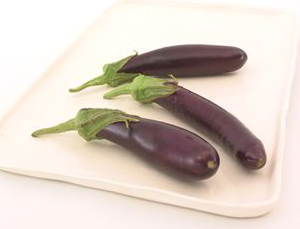 The Long Purple eggplant is considered a favorite productive Italian type of eggplant that is an old heirloom brought to America in the 1870s.